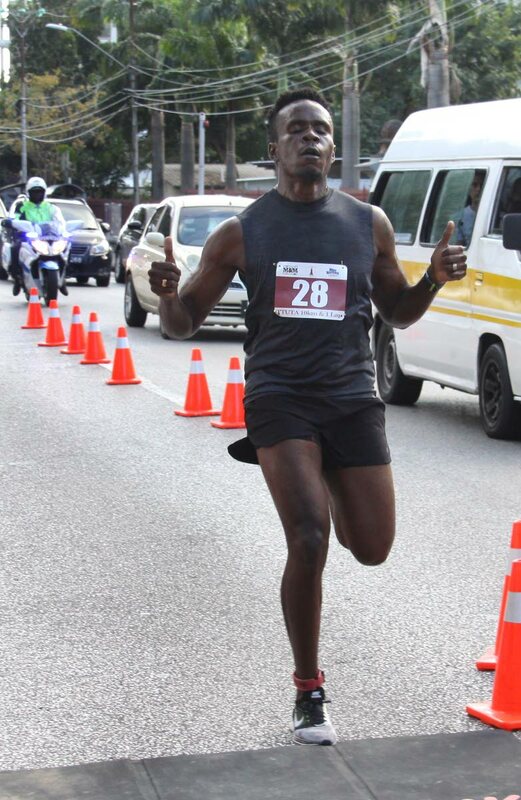 SHERWYN Stapleton and Samantha Shukla copped the men’s and women’s 10K titles respectively when the TT Unified Teachers Association (TTUTA) 10K and Teacher’s One Lap event was held at the Queen’s Park Savannah, Port of Spain, yesterday. In the one lap event, Cy Sarjeant and Juliet John-Sambrano were the top finishers in the men’s and women’s categories respectively. Finishing behind Stapleton in a sprint finish was Shirvan Baboolal in the race which started and ended opposite the Queen’s Royal College. Third place went to Anthony Phillip, Kelvin Johnson was fourth and Shurlun Williams rounded off the top five. Up to press time, official times were not available. Shukla continued her dominance of local women’s 10K running with victory over Cecilia Mobuchon of St Martin. Sjaelan Evans ended third, Chantel Le Maitre was fourth and Teresa Otero ended fifth. Stapleton, despite winning in approximately 34 minutes, wanted to complete the race in 32 minutes. “I am not so glad about it because my time was off. I just not feeling up to it today,” Stapleton said. In the one lap event, Holy Faith Convent teacher Sarjeant took home the top prize ahead of second placed Kevon Mitchell and third placed Ryan Joseph. John-Sambrano finished on top of the podium ahead of Shanti Sooklal-Singh and Delesse Francis among the women. Reply to "Stapleton, Shukla cop TTUTA 10K titles"